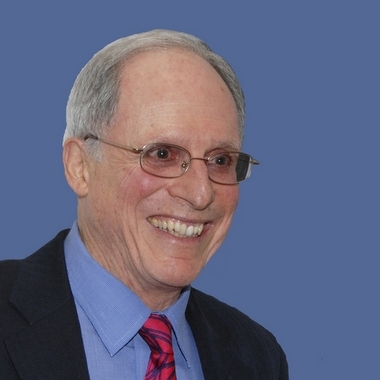 As a Harvard undergraduate, David Eisenberg had the good fortune to be assigned to study with John T Edsall, one of the pioneers of protein chemistry, who oriented David to his life’s work. As a Rhodes Scholar at Oxford, Eisenberg earned a DPhil in theoretical chemistry for study with Charles Coulson on hydrogen bonding in ice. Returning to the States, Eisenberg worked as a postdoctoral fellow with Walter Kauzmann, the discoverer of the hydrophobic interaction. Together they wrote a monograph, The Structure and Properties of Water, still in print after 46 years. In a second postdoctoral fellowship at Caltech, Eisenberg learned X-ray crystallography from Richard Dickerson. Since 1969, Eisenberg has been on the faculty of UCLA, now as the Paul D Boyer Professor of Biochemistry and Molecular Biology and as Investigator of the Howard Hughes Medical Institute. Beginning in 1999, Eisenberg concentrated on studies of prions and proteins in the amyloid state. He has coauthored a text Physical Chemistry for Students of the Life Sciences, as well as 350 research papers. Eisenberg is a member of several scholarly societies, including the US National Academy of Sciences, the American Academy of Arts and Sciences, the Institute of Medicine, and the Philosophical Society. He has been recipient of the Harvard Westheimer Medal, the UCLA Seaborg Medal, the University of Washington Neurath Medal, the Harvey International Prize in Human Health, and is an honorary fellow of Queen’s College Oxford.